Sorry, as sweet as it would have been to see Tony Stark team up with Phoenix Wright, neither character will be appearing in the latest Ace Attorney game from Capcom. 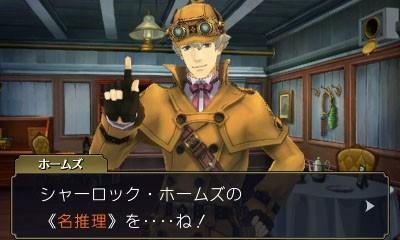 However, the game will star the titular lawyer’s great ancestor as he teams up with none other than the greatest detective of all time, Sherlock Holmes. 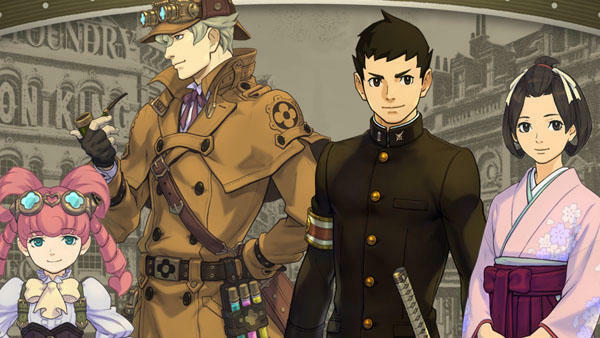 The Great Ace Attorney takes place in the late 19th century in Japan’s Meiji Restoration era, and Japan finds itself smack in the middle of an industrial and legal revolution. The country is trying to fashion itself after Western countries to give it the image of a global power, and to do that, it has to make the public adhere to modern day laws. You can’t do that without lawyers, and that’s where Ryuunosuke Naruhodou comes in. 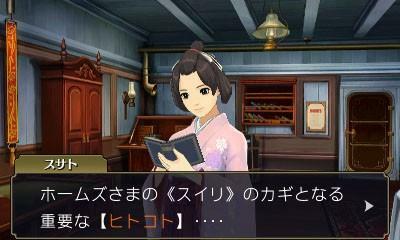 Susato Mikotoba is this game’s version of that character. She is a holdover of old Japan, as seen by her kimono, and yet she has big dreams of leadership in the future. Revolutionary thoughts for a woman in those times. What good is a legal system without police? 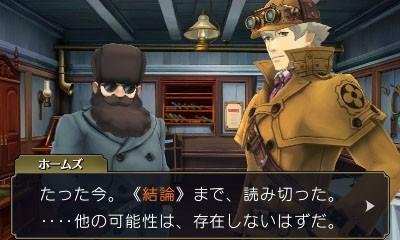 Phoenix Wright always has the dopey Detective Gumshoe helping him out, but Naruhodou has the greatest detective of all, Sherlock Holmes, called in from England! No way! 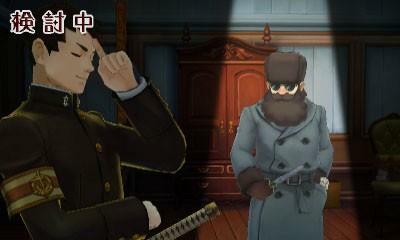 He and the young lawyer must use the game’s new mechanic called “Joint Reasoning” to solve the difficult cases. A case or two also take place in England. 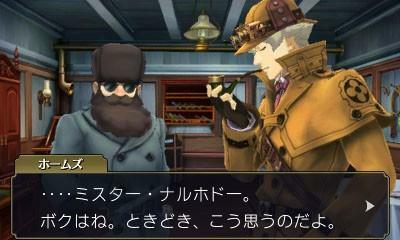 Holmes also brings along Dr. Watson on his vacation to Japan, and yet this is not the Watson we are used to. No, this is an eight year old girl with a doctorate named Iris Watson, created to annoy the eardrums off of gamers everywhere. This game was sounding interesting up until this point. Maybe she is the real Dr. Watson’s daughter or niece or something, and besides, the Ace Attorney series has always done a good job with making kids likable. She’s no Jude Law, but I doubt they’ll screw this up. Not that it matters. Japanese companies tend to shy away from localizing games in the West with such a huge emphasis on Japanese history, claiming foreign audiences don’t have enough necessary knowledge and can’t understand nuances. 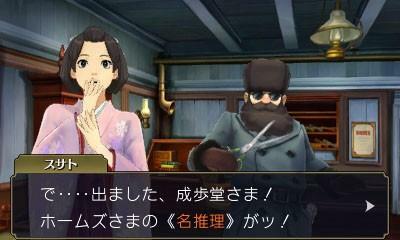 I’d be surprised if we see The Great Ace Attorney ever appear in America. 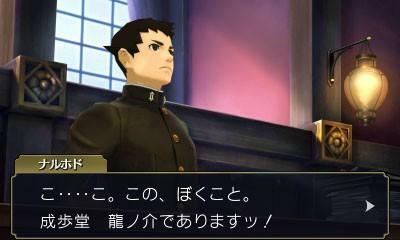 A new trailer is expected to come from TGS 2014, and the game will be playable at the Capcom booth. If it’s anything like previous games in the series, which I’m sure it will be, then I’m probably not going to check it out. Why not? Because it’s a game where you read, and the charm comes from enjoying the story. That’s all you need to know.